It's a small but persistent exasperation: finding adhesive residue on glass. Whether it's on a mirror, drinking glass or picture frame, you're not alone in wondering why manufacturers and retailers affix a sticker or label to an object you want to view with no obstructions. Depending on the type of residue you're trying to remove, you might have to try several methods. But since glass isn't porous, your exasperation should be short-lived. 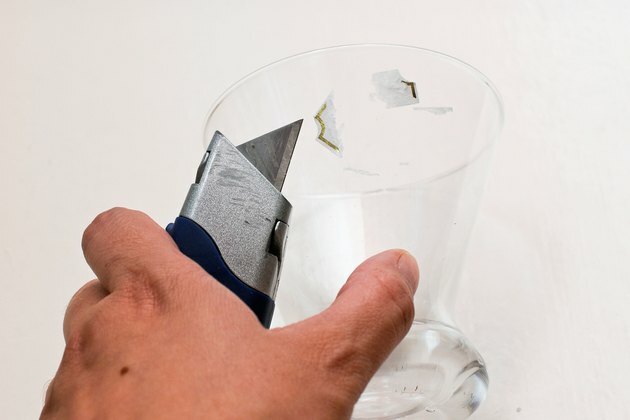 Scrape off the adhesive residue with a utility knife. This tool will not scratch the surface of the glass. Soak the glass in warm water. 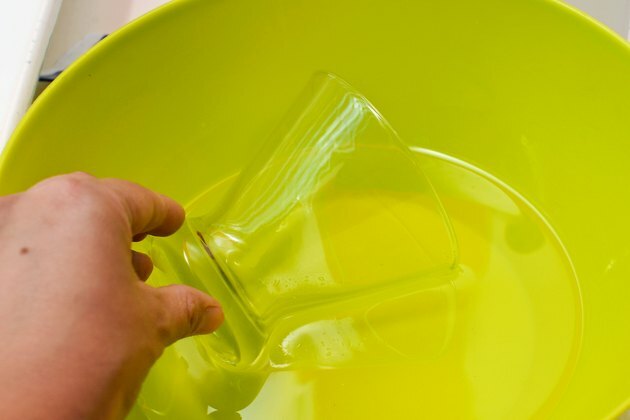 If the piece of glass is flat, spray the glass with warm water until the water puddles. Wait a few minutes until the water cools and then peel off the residue with your fingers or a utility knife. 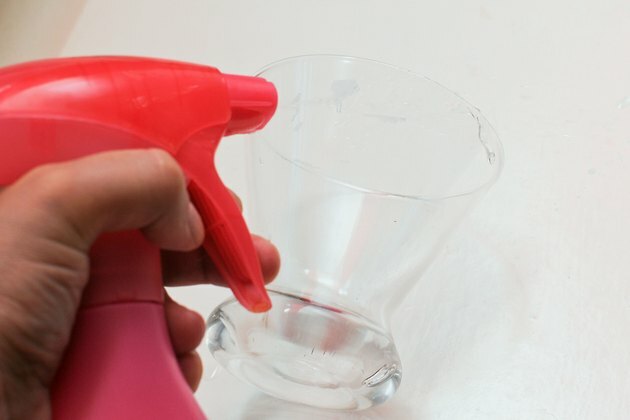 Spray the glass with white vinegar if the previous method didn't work. Or make a light paste of baking soda and water. Let either solution soak into the adhesive for several minutes and then peel away the adhesive. White vinegar and baking soda carry the extra benefit of being superb cleaners. Reach for an oily product to release any remaining adhesive residue. 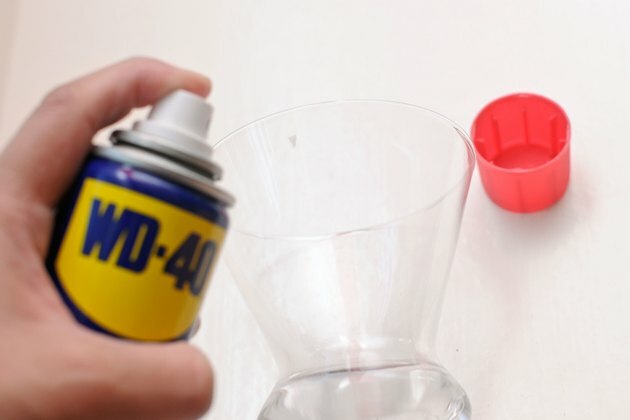 Soak a cotton ball or a rag with baby, mineral, vegetable or olive oil; or try WD-40 or lighter fluid. Stubborn adhesives may have to be soaked in these oils for several hours or overnight, but they should eventually dissolve the adhesive. 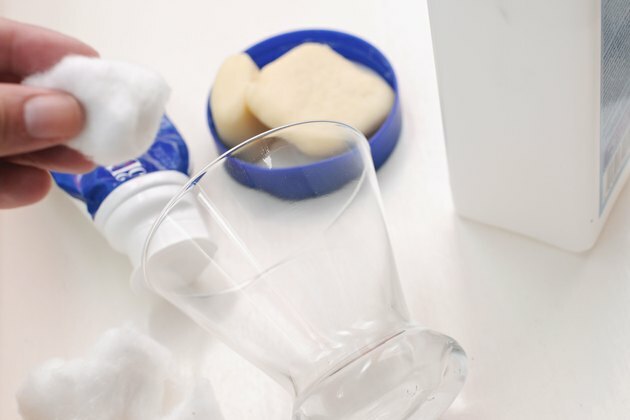 Grab a product from your bathroom cabinet or kitchen pantry and rub it into the adhesive residue, if you don't have any other removal products on hand. Try hand lotion, nail polish remover, petroleum jelly or toothpaste; or try margarine, mayonnaise or peanut butter. 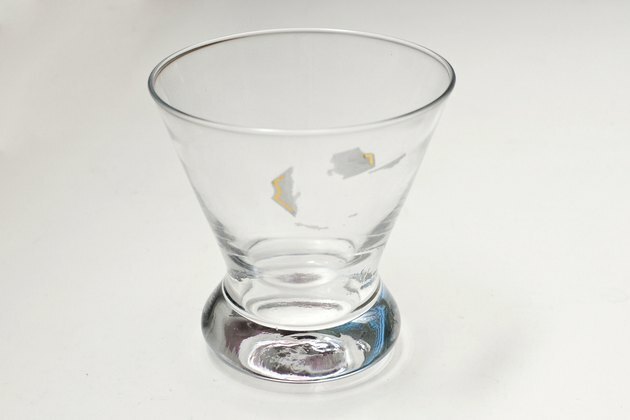 Clean any residual mess from the glass, then wipe with a dry cloth. How Is the Glass Attached to the Metal for Backboards?